The Routakit SD is our baseline machine offering excellent performance in its class for cutting wood, plastic, and aluminum. 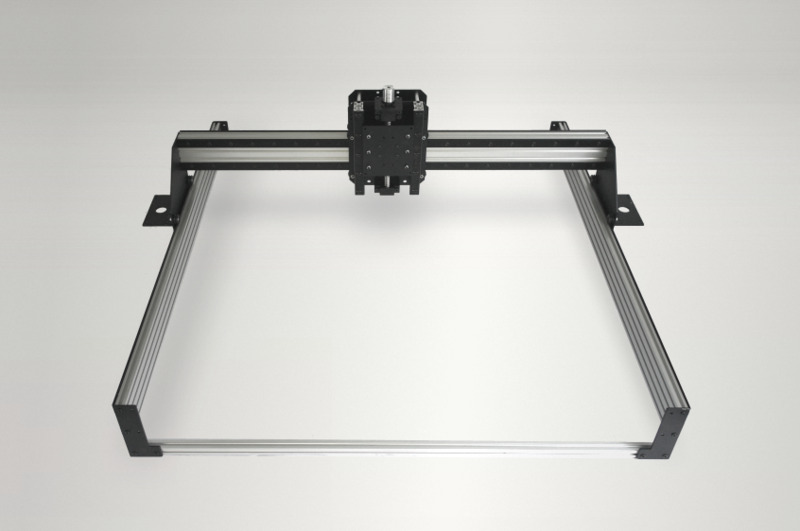 Featuring 0.19in thick plates for high rigidity and strength, a stiff 4080 extrusion as the gantry, 250mm (4in) of clearance, and a 250mm (4in) tall industrial grade ball screw for the z-axis. For a complete out-of-the-box solution, simply add in our optional electronics kit (includes a CNC USB MK3/4 control board and four Nema 23 175 oz stepper motors) and the Routakit SD is ready for action!